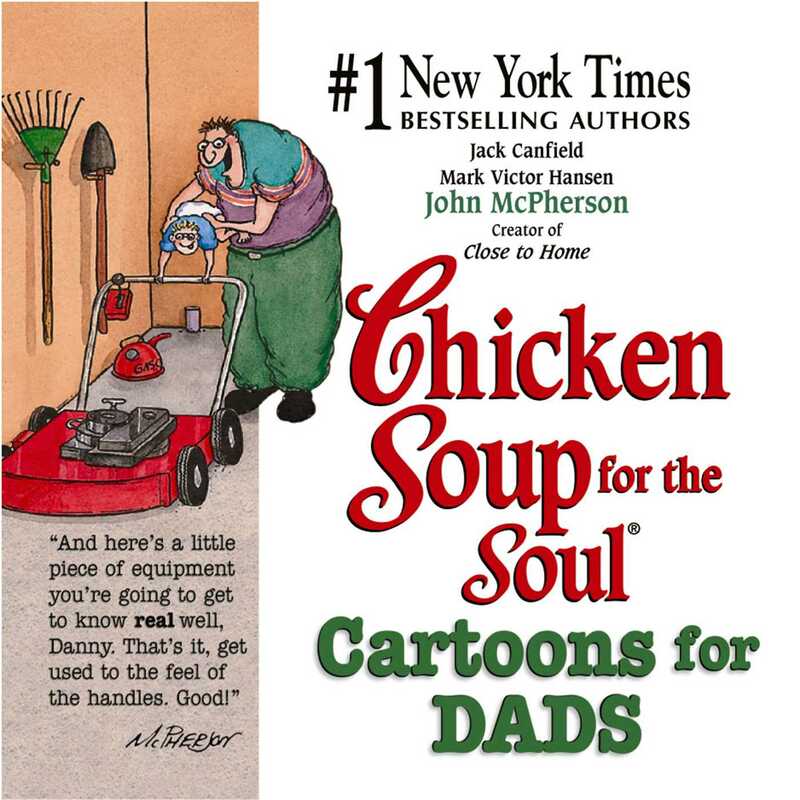 After the resounding success of Chicken Soup for the Soul Cartoons for Moms, the authors decided to take a humorous look at fatherhood, again from the perspective of internationally syndicated and award-winning cartoonist, John McPherson. So much of the joys-and frustrations-of fatherhood cannot be adequately expressed in words, and that's where this book fills the bill. A departure from the rest of the Chicken Soup for the Soul series, this collection is 100 percent cartoons and guaranteed to make every dad grin, chuckle and laugh out loud. This mirth-filled gem will depict the years from expecting the first to the empty nest in a tribute to fatherhood that is filled with as much laughter as love. All fathers are sure to enjoy the 200-plus cartoons-each a John McPherson original-and will doubtless turn to this book again and again for a welcome smile or laugh.